President Jacob Zuma’s public explanation for his midnight Cabinet reshuffle is that he wanted to bring younger leaders into government. 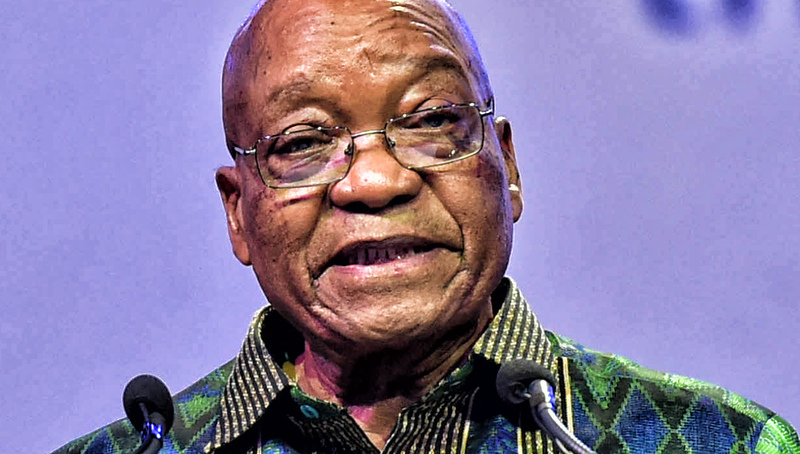 With Zuma refusing to produce the fake intelligence report he told ANC officials was the real reason he fired Pravin Gordhan and Mcebisi Jonas, it remains to be seen whether infusing young blood in government is a sudden priority or a convenient excuse. The election of 39-year-old Emmanuel Macron as France’s new president broke the trend of crusty seniors leading the global powers. Together with Canada’s Justin Trudeau, Macron could force the world to rethink who leads it. While young leaders are rising in South Africa’s opposition, the ANC is still suffocated by the old guard. By RANJENI MUNUSAMY. The airing of Finance Minister Malusi Gigaba’s bedroom secrets and new details of his alleged links to the Gupta family by his former mistress Buhle Mkhize would have triggered the end of his career in some countries. In South Africa, however, sleaze and scandal do not count for much – whether it is the president impregnating a soccer luminary’s daughter, the wife of an intelligence minister being convicted for drug trafficking or the surfacing of raunchy nudes of a deputy minister who claims to be a military veteran. Gigaba’s latest scandal will probably also be buried, and he and his wife Norma are likely to resume their audacious Instagram lifestyle and project themselves as a glamorous power couple. There was a time when Gigaba was seen as a rising star in the ANC and a possible future leader of the party. But the fact that he was chosen for the most strategic position in Cabinet by people outside the ANC has raised questions about his ties to the Guptas and the agenda he is serving. In accepting the post of finance minister, Gigaba probably did not stop to think about the consequences of being chosen not by the ANC but by people known to be using the party and the state for their personal enrichment. Whatever Gigaba does in future, it will be this fact rather than his colourful personal life that will haunt him. The circumstances around the Cabinet reshuffle are also symptomatic of the lack of a succession planning system in the ANC and the party’s inability to groom future leaders. The ANC’s deployment committee is completely dysfunctional and the president is allowed to make appointments on a whim or along factional lines. Police Minister Fikile Mbalula, for example, is a former ANC Youth League president and previously ran for the position of ANC secretary-general. He clearly has a future in the party, if nothing else through his popularity. But Mbalula’s ascendency to the police portfolio also happened without the endorsement of his party. Other than being a motor mouth and a social media clown, it is not clear what skills he has to handle such a high priority portfolio. He probably cannot be worse than the two previous ministers, Nathi Mthethwa and Nkosinathi Nhleko, who were rubbish at the job. But Mbalula could have done with mentoring and a leadership development programme. While the ANC’s leadership ranks remain dominated by people that are over 60 years old, it has some young leaders in its ranks with the potential to rise to the top. Among them are Gauteng Education MEC Panyaza Lesufi, who has brought innovation and hands-on leadership to his portfolio, and KwaZulu-Natal Economic Development MEC Sihle Zikalala, who has shown himself to be a power player – even if it is for factional purposes. But the ANC has largely failed to attract or keep smart young leaders with leadership potential. The South African Communist Party (SACP) looks set to elect Solly Mapaila as its general secretary in July, which is likely to shake things up in the party and in the alliance. Mapaila is a straight-shooting campaigner who can preserve the history of the SACP while shunning the contortionist politics the current general secretary Blade Nzimande has perfected. It was a great loss for the SACP when Nzimande drove away the former national chairperson of the Young Communist League, (YCL) David Masondo, who was one of the brightest minds in the party. The SACP’s internal politics seems also to have suppressed the former YCL national secretary Buti Manamela, who has sheltered himself in his portfolio as Deputy Minister in the Presidency. In the opposition benches, however, young leaders are thriving, even in the party with the oldest leader in South African politics. Mmusi Maimane this week marked his second year as leader of the Democratic Alliance (DA). He appears to face no serious challenge for leadership of the party yet. Once he is able to shake off the spectre of Helen Zille, he will be able to take the DA on a new course with a corps of bright young leaders around him. Among them are MPs Phumzile van Damme, Solly Malatsi, Geordin Hill-Lewis and South Africa’s youngest parliamentarian, Hlomela Bucwa. Tshwane mayor Solly Msimanga has turned out to be one of the DA’s greatest success stories as someone groomed for leadership and who has earned the trust of his constituency. He worked hard and was able to lead the DA’s conquest of the capital through the ballot. A great loss to the DA was its highly respected former parliamentary leader Lindiwe Mazibuko. It is doubtful whether Mazibuko would return to the party and play second fiddle to Maimane, but she could still make a comeback in South African politics. When it comes to young leadership, the Economic Freedom Fighters (EFF) is in a league of its own. Julius Malema remains the youngest political party leader in the country, being a few months younger than Maimane. Malema went from firebrand and agitator in the ANC Youth League to becoming a serious agenda-setting politician in South Africa. Malema is surrounded by a band of young turks, constantly rebelling against the establishment and raising the profile of he party. They include his deputy Floyd Shivambu, national spokesman Mbuyiseni Ndlozi and national treasurer Leigh Mathys. The Inkatha Freedom Party (IFP) boasts the oldest leader in South African politics, the long-suffering, weather-beaten Mangosuthu Buthelezi, who turns 89 this year. While Buthelezi is clinging to his position as IFP leader, young stars are showing themselves in the party. They are MPs Mkhuleko Hlengwa and Liezl van der Merwe, who are both consistently excelling as public representatives, putting their lumbering counterparts across the House to shame. Van der Merwe brought to light and relentlessly pursued the South Africa Social Security Agency grant crisis. Given the opportunity, Hlengwa and Van der Merwe could recreate the IFP into a modern political party – even if its means granting an honorary emeritus position to the geriatric patriarch. The United Democratic Movement has produced another of Parliament’s young guns to watch, the debonair Nqabayomzi Kwankwa. From his speeches, questions and commentary, it is clear Kwankwa takes his job seriously and is ambitious to rise to greater heights. As the succession battle in the ANC picks up pace, it looks like all the contenders for leadership are people past their prime. The issue of women empowerment is being used as a Trojan horse by the faction backing Nkosazana Dlamini-Zuma for president but no grouping in the party is campaigning for younger leaders. While generational change was part of the discourse a few years ago when the ANC Youth League was trying to push Mbalula up the ranks, it has not featured in this year’s leadership battle. It could have to do with the fact that the ANC Youth League is no longer taken seriously or considered to be kingmakers. And they definitely could not be considered as contenders for leadership. The most fascinating development in global politics is how Donald Trump and Emmanuel Macron shattered the conventional political system to rise to power in the United States and France respectively. Trump’s election has been an unmitigated disaster while Macron could break the trend of the rise of right-wing nationalism. South Africa could do with a shake-up and infusion of young blood in politics. This could be through new parties bursting onto the scene, the split of existing parties, or younger leaders pushing aside the old guard to rise through the ranks. There is a militant and needy constituency of South African youth who are struggling to find resonance in the current political system. More than that, it is clear that outdated rhetoric and antiquated ideologies are increasingly irrelevant.